In August we had the pleasure of welcoming Montessori volunteer Laura Perfetti to our school for a month. The kids really enjoyed their time with her thanks to her infectious, bubbly personality and the sharing of new Montessori ideas with our team of teachers. On Laura’s last day, she treated everyone to an Italian lunch and using our little kitchen managed to cook up a storm with a traditional Spaghetti Bolognaise. 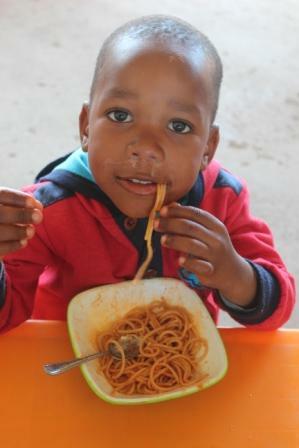 For some of our children, it was their first time trying spaghetti with varying degrees of success! Live looking positive eating spaghetti! Thanks so much for all your help and energy Laura, the kids say “Molo”! 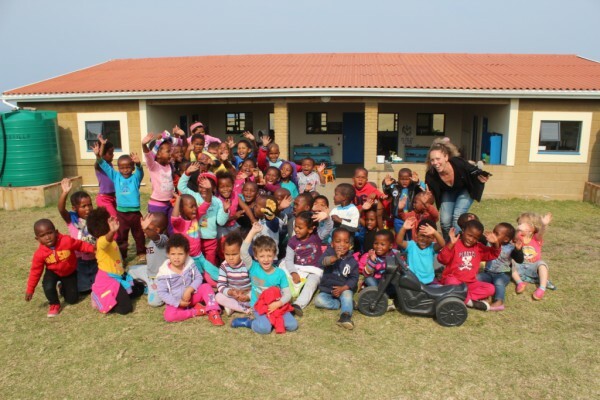 Laura and the children of Ikhaya Labantwana Montessori.